Congratulations to All Our Succesful Hunters! 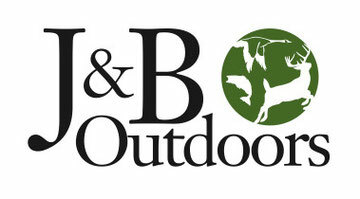 - J & B Outdoors - Northwest Missouri's Leading Outdoor Store! Congratulations to All Our Succesful Hunters! Congratulations to all our 2013 Turkey Contest Participants and thanks to all of you who stopped out at the shop today! Grand Prize: Largest Bird by NWTF Score went to Michael Nigh with a score of 88.055. His bird weighed 23.875 lbs., had 1 1/8" spurs, and sported a double beard with a total lenth of 21 1/4". Nigh wins a $50 gift certificate. Random Drawing: Greg Heath was drawn from the 21 entries into the contest and he wins a $25 gift certificate. Longest Spurs: Casey Hayes took the longest spurs category with a bird that had 1 5/16" and 1 13/16". Largest Weight: We had a tie in this category with Kenny Parman and Mike Lawrence both bringing in birds that weighed 27 lbs. 4 oz.. To break the tie we went to spur, beard, and NWTF Score and Parman's bird slightly edged out Lawrence's tom. Congratulations to both hunters on taking such heavyweights! Longest Beard: Mike Mayhew pulled top honors in the longest beard category. He shot a triple bearded bird with 9", 6 1/2", and 3" beards totalling 18 1/2". Way to go Mike! Youth Division: This year we just did a random drawing for all youth turkey hunters who entered their birds. Conner Young was drawn as this year's winner. He took a 21.125 lb. bird, with 1" spurs, and a 10 1/2" beard. Good work Conner! While she wasn't drawn, we also wanted to congratulate Madison Frakes who took a 20 lb. bird with a 10 1/2" bird. Way to go Madison!